We are Ippei & Janine Naoi (also known with our occasional business partner Sam Spicer as Spicer & Naoi Photography), based in Tokyo since 2006. 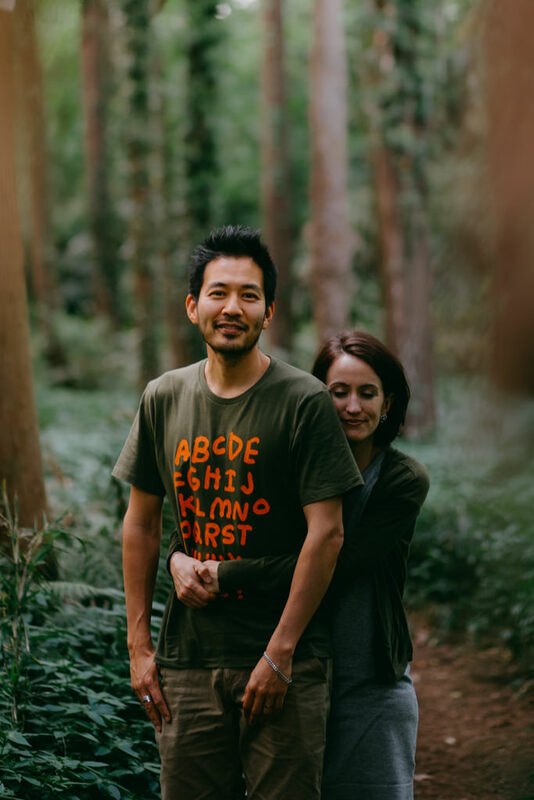 Ippei is Japanese, originally from Tokyo; and Janine is Australian, originally from Melbourne. We aim to produce photography for clients with a focus on strengthening their brand or conveying a story in an artistic way. We are passionate about travel and exploration, and have a few websites to encourage others to get out there and explore Japan. One website focusses on the many wonderful islands of Japan, and the other focusses on outdoor day trips from Tokyo. If you think you have a photography or communication project which we could help you with, please contact us. My favourite time of the day to take a photograph is when you just start feeling like drinking a beer, when the sun is touching the horizon. I like the lushness of nature, full of positive thriving life. Even the lushness of a small temple in Tokyo can excite me, not necessarily my favourite Iriomote rainforest. Born and bred in Tokyo, I love the quiet calm pockets inside the big bustling city as well as lively local places where you can really see life happening in front of you. I love to feel and capture happy moments, that can remind people of their happiness again and again, creating storytelling photos to reflect the depth of what is being captured. Ippei is a Getty Images on-trend photographer 2018 (one of four selected talents worldwide), and his work has been published in international magazines and publications such as National Geographic and Vanity Fair, among others. A Melbourne girl originally (my day truly starts with the event of a double café latte), growing up surrounded by beach and fresh air, Tokyo, by contrast, quickly found its way into my heart. I love Tokyo’s contrasting elements and cosmopolitan atmosphere, paired with the rich culture of Japan. I am drawn to cities with small streets filled with cafés, restaurants, boutiques, and an atmosphere that you can almost touch, but just as much I love getting out of the city into nature. I am drawn to anything visual that puts a smile on my face. I like to compose images as best I can, while trying to capture the atmosphere, emotion and the moment as candidly as possible. Janine’s work has been published in international magazines and publications such as Lonely Planet Magazine and National Geographic Traveller, among others.